Has implications about rate of fire and performance of the land units that receive it I guess. Also implications about rate of production of the systems and how quickly the upgrade can be deployed. the missile doesnt have mid-finns like older buk missiles, maybe 8 tube hot launched shtil? Naval vertical launched Shtil also doesn't have fins like older Buks, so most probably Buk-M3 and Shtil VLS have same new missile. Dont you ever get tired of trolling. All you are doing is lowering this forums credibility. HQ-16 is based off of Buk system. Yes, similar on how they increased number of launch missiles but design is a tad different. As well, there isnt much you can do to change look and still carry same amount of missiles. 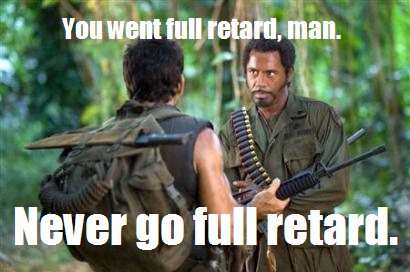 I see you went full retard with your trolling RPG. The Russian plans for unification of weapons for their Navy, and Army and Air Force are extensive and include the Buk, which is a Russian Army and Navy system that is not used by the Russian AF. The fact that new Chinese missiles look like new Russian missiles is no surprise because the new Chinese missiles were developed WITH Russian help based on new Russian missile design. Next you will be crowing about India being able to make Su-30MKIs that are better than the Su-27, or indeed Brahmos that is better than Yakhont. You do know that the S-300P, S-300V, S-350, and S-400 are all tube-launched, right? Want to know why the Buk-M3 can be tube-launched, like the KM-SAM and the HQ-16, while earlier tactical SAMs like the Kub and Buk-M1/2 could not? SARH guidance, depending on the SAM, either always requires or sometimes requires the seeker to be able to see the target to lock on prior to launch, depending on the launch mode and the guidance system design. Which is, you know, hard to do inside of a sealed container. It's entirely unsurprising that the new active radar missile for the Buk-M3 is now inside of a launch tube. And seriously, what's innovative about the HQ-16 TEL? It's basically a shrunk version of the HQ-9 TEL, which is no different in concept than the MAZ-543 based TEL for the S-300P/400. GarryB wrote: Next you will be crowing about India being able to make Su-30MKIs that are better than the Su-27, or indeed Brahmos that is better than Yakhont. Those Hindoos stole the design of the Su 30 and came up with their own home made version . Needless to say they are crashing on a regular basis . Brahmos is another example of Russian guidance codes that Indians obtained by bribing a few officials in NPO Mashinostroyeniya . It's widely known in Russia . NickM wrote: Those Hindoos stole the design of the Su 30 and came up with their own home made version . Needless to say they are crashing on a regular basis . ...except they're building them under license, unlike the PRC who builds them without a license. And Russia is upgrading them. And two of the four crashes had nothing to do with anything related to the quality of the aircraft: one was because of crew error in turning off the FBW, and one because jet engines can't eat things that aren't air. How is four crashes in over a decade a "regular basis"? India isn't the graveyard of the MKI, it's the graveyard of Empire. Why can missiles like Sea Sparrow(SARH guidance) be inside of sealed containers? xeno wrote: Why can missiles like Sea Sparrow(SARH guidance) be inside of sealed containers? Because they can be launched with either programmable or datalinked midcourse guidance. Standard is the same way. SOC wrote: ...except they're building them under license, unlike the PRC who builds them without a license. Don't fall into their trap . I realize these are the concocted news that they excel at spreading . They take licence for building 10 units and eventually produce 20 units . SOC wrote: How is four crashes in over a decade a "regular basis"? Again don't go by what these Indians tell you . The actual figure is a lot higher which they do not disclose for obvious reasons. SOC wrote: India isn't the graveyard of the MKI, it's the graveyard of Empire. That's not true . The Empire left India after we realized that no matter how hard we try a civilization that has historically been un civilized cannot be made civilized . Don't take my words .Since you are in the US , just look around you and see what these dotheads are doing . Skilled only for 7/11 jobs they rejoice in stealing jobs from the locals . No wonder unemployment among locals is so high in the US . All the locals hate them. [quote] Those Hindoos stole the design of the Su 30 and came up with their own home made version . Those Hindoos stole the design of the Su 30 and came up with their own home made version . They approached Sukhoi and developed a joint venture to adapt an existing Sukhoi product (Su-30) into something rather different that Su-30 never was before but has become since. The Russians tested the tandem Flanker but decided the side by side seating of the Su-32/34 was better for crew communication. The PVO did not draw the same conclusion and decided to build the Su-30, based on the Su-27UB two seat trainer and use it as an airborne command aircraft... a sort of Mini AWACS. The Indians wanted an Su-34 with a tandem cockpit and in many ways that is what the Su-30MKI is but without its fighter capacity diminished like it is in the Su-34. Brahmos is another example of Russian guidance codes that Indians obtained by bribing a few officials in NPO Mashinostroyeniya . It's widely known in Russia . Brahmos was a paid for joint venture too... in this case they turned an anti ship missile into a multi role land attack and anti ship missile. In both cases the original didn't have the performance they required (multirole fighter/strike capability, and multirole anti ship and land attack capability). I realize these are the concocted news that they excel at spreading . They take licence for building 10 units and eventually produce 20 units . There is no evidence they have cheated on their licence agreement. No wonder unemployment among locals is so high in the US . All the locals hate them. Awesome... what you are saying is that tube launched Shturm, Ataka, Kristantema, Vikhr, and Hermes are all more sophisticated and capable than Hellfire because they are tube launched. Very simply the new Shtils are tube launched because they don't need any huge control fins... they have thrust vectoring for early manouvering and after the main booster has burnt out its high speed means even the small tail fins generate enough force to turn the missile because the amount of air flowing over them. Tube launch contains some of the blast, it protects the missile from the environment and minor damage and often makes reloading easier... in terms of sophistication it means very little however. Guys, we all know Nick's shtick at this point. Don't lower your IQ by reading his crap. The deals with India over MKI and Brahmos are extremely well publicized and recorded, obviously his fantasies are imaginary. how the hell is semi-active hominghead getting a lock on in 30+ km range? there is a bit of preprogramed trajectory and command guidance in every buk missile. you are talking nonsense. and then how the chinese using older buk missiles use them in containers? - the containers also enable: more energetic fuel to be used in the missile because the missiles are less exposed to the harsh inviroment and there is less missfire and longer shelf life! -faster replacement rate , look at hq-16 ,easy to handle ,square rig around the container. Rpg type 7v wrote: how the hell is semi-active hominghead getting a lock on in 30+ km range? By having a powerful CW illumination function in the engagement radar. Rpg type 7v wrote: there is a bit of preprogramed trajectory and command guidance in every buk missile. you are talking nonsense. There can be for most RF-guided SAMs but in many of them it isn't necessarily required. Block the seeker head and you eliminate the LOBL option. Rpg type 7v wrote: and then how the chinese using older buk missiles use them in containers? Vertical launch and encapsulated missiles gives you a bigger dead zone around the TEL. Exposed launch on a trainable TEL shrinks your dead zone, which can be useful. Rpg type 7v wrote: - the containers also enable: more energetic fuel to be used in the missile because the missiles are less exposed to the harsh inviroment and there is less missfire and longer shelf life! Most combat rounds are stored in sealed containers anyway and aren't trucked around on TELARs all the time. The R-33S can guide itself to a target 120km away... so when the missile is 90km from the launch aircraft and 30km from the target the signal from the radar that it is homing on has travelled 150km from the launch aircraft to the target and back to the missile seeker. What has the energy level of the fuel have to do with tube launch or not tube launch? Tube launch has no effect on the chances of missfires. Easier to handle? Still need a crane. Still have specific fixed attachment points. I think if an accident happened and a missile was dropped or damaged it would be put aside and destroyed rather than used... whether it was in a tube or not. let me elaborate you can get a lock on but with pesa radar from tel is best and faster then launch immediately , you dont need to wait for missile to warm up and get a lock ,you launch using command guidance and the missile will catch the signal eventually, unless the target is very close. so container dont matter in this context. then go reread my previous post. specialised attacment points can be made on the container for handling unlike on a missile. Actually in terms of energy efficiency it is probably better to have an arm launcher as a missile pointed at the target allows all the rocket propellent burn to be used to accelerate the missile in the direction of the target. We have already discussed the virtues of cold launch. but at the end of the day the difference between the actual missiles used has more effect on performance than the launch method used, so being able to continue to use modified existing launchers with launch tubes attached has economic reasons rather than performance reasons. The value of having Shtils in the land and naval based versions the same right down to the tubes they are sealed in makes a lot of sense but making older existing platforms/vehicles compatible with the new missile also makes a lot of sense too. All missiles have internal batteries and gyros and internal navigation systems (INS) that need to be updated in preparation for launch, there is no evidence the new BUKs need less time to prepare for launch in terms of electronics than the old ones... tube or arm launched. Missiles generally already have specialised attachment points... that is how they are attached to the launch rail, or moved about in the under deck ammo handling system or stored in rotary magazines or raised above deck to the arm launcher ready to fire. missiles that attach and have this point are generaly heavier then conteiner ones. missiles are nimble especially when at full load , and besides containers can have bigger hooks and other un-aerodynamic attacments unlike in missiles. Russia base in Armenia has been reinforced with BUK-M1-2 (9M317 and 9M38M1 missiles), Strela-10, Smerch and 18 helicopters are planned for deployment. We can assume that the use of tube based land based BUK is the same as the vertically launched Shtil-1, (no advantage plus added complications if not), So we can therefore assume that the newest BUK can be launched vertically because the Shtil-1 is launched vertically. The difference is that the BUK might need to be turned to face the target it is launched at meaning it is launched directly at its target which means no manouvering at launch which is most efficient in terms of energy but also potentially creates a delay of up to 2-3 seconds while the missiles (and radar) are slewed towards the target. Not perfect, but not the end of the world either. I rather suspect the main reason for the land based missiles to have tubes for launching is so the small tail surfaces can be folded and only extend as they leave the launch tube meaning the missile tubes can be mounted closer together and also in double rows without the risk of control surface damage on launch by impacting another missiles control surfaces... they can flex or move under load at launch. This is just silly... the attachment points could simple be bolt holes using explosive bolts that detonate after launch and have zero drag.